With the Empava EMPV-36GC888 Stainless Steel Gas Stove Top You Don’t Have to Sacrifice Quality for Price. 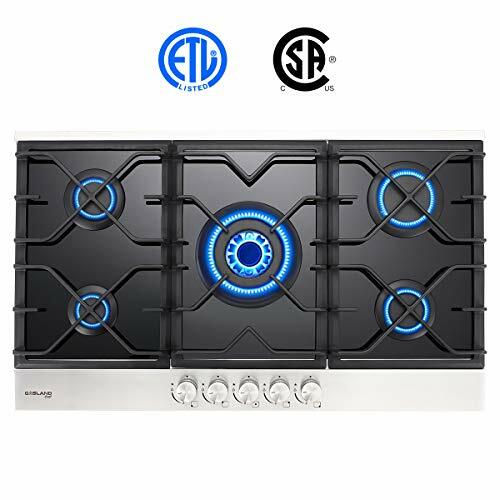 The Empava gas cooktop offers you the flexibility you need to make all your favorite dishes with precision and flair, featuring 5 Sabaf burners imported from Italy, auto shut off safety sensor protection to protect against overheating and leaks and magnet valve imported from Spain, laser cut heavy cast iron grates, dishwasher safe flame cover and 18 Gauge stainless steel. The recessed cooktop burners provide an easy space for balancing multiple pots, while the bridge burner fits everything from multiple small sauce pans to oversized griddles or grill adapters. You can also use the inner ring of the dual ring burner to simmer soups or dial up the power with the outer ring to bring water to a quick boil with 13000 BTU. Speed through post-cooking cleanup thanks to the dishwasher safe cast iron grates & knobs and a stainless steel cooktop surface that helps contain spills, resist scrapes and wipes clean effortlessly. 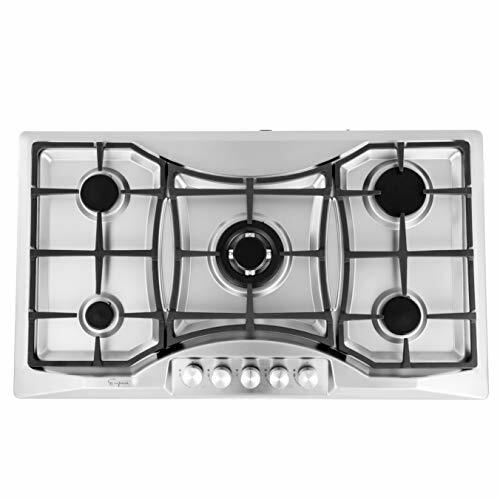 GAS STOVE TOP FEATURES: Product Dimensions: 36.02 inch L x 20.67 inch W x 4.52 inch H. 5 Burners: Triple ring burner 13000 BTU, Rapid burner 11000 BTU, two Semi rapid burner 6500 BTU, Auxiliary burner 3800 BTU. 100% 18 gauge stainless steel panel. Dishwasher safe grill and knobs. Heavy cast iron grates. Italy imported Sabaf burners. 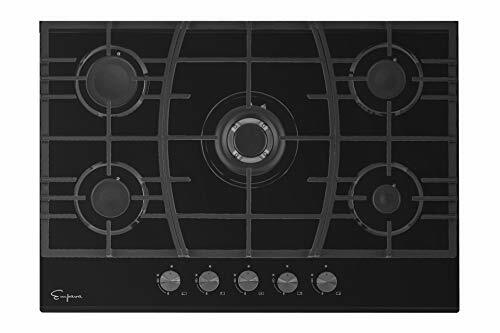 Spain imported Orkli brand electromagnetic and thermocouple auto shut off safety sensor Cooktop is factory set for use with Natural gas. If you wish to use Liquid Propane (LP), call a licensed professional to install the LP gas conversion kit. Thermocouple protection: Fire turns off automatically if it overheats or there is a leak. Easy plug and go installation. Electric ignition. Perfect for RVs, apartments, small kitchens to simmer, sear, warm, and boil. Get cooking! Add the Empava 36” Stainless Steel EMPV-36GC888 Gas Cooktops Stove Top to your cart today. PREMIUM BURNERS – The Italy imported Sabaf burners in the Empava fixed cooktop use an electronic ignition with no pilot needed and are rated at up to 13000 BTU and feature thermocouple protection to automatically turn off if there is a leak or the stove top overheats. 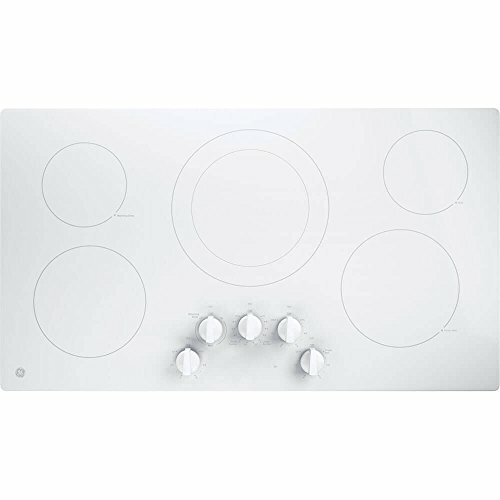 SPECIFICATIONS – Product Dimensions: 36.02 inch L x 20.67 inch W x 4.52 inch H, Cutout Dimensions: 35.1 Inch L x 19.5 Inch W x R10 – 5 Burners: Triple ring burner 13000 BTU, Rapid burner 11000 BTU, two Semi rapid burner 6500 BTU, Auxiliary burner 3800 BTU – LPG / NG Convertible (Both Nozzles Included) -Works manually W/O electricity – Perfect for RVs, apartments, outdoor use ,etc.. Compatible to install above any Empava 24 inch under-counter single wall oven.